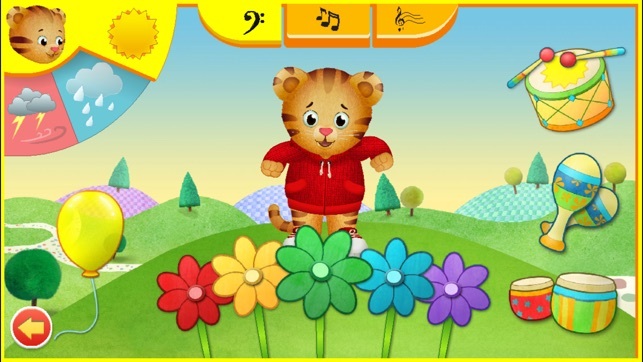 We hope you're enjoying playing and learning with your friend Daniel Tiger. This update addresses sound issues you may have been experiencing. 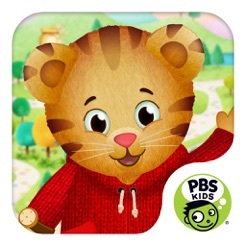 If you like this Daniel Tiger app, please take a moment to rate it and let us know. 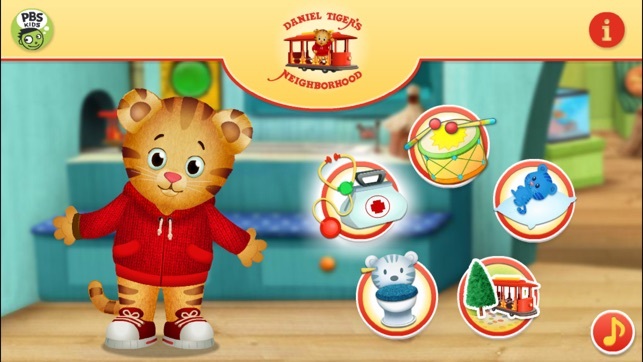 Be sure to check out the Daniel Tiger Collection bundle for more fun and learning with Daniel Tiger. 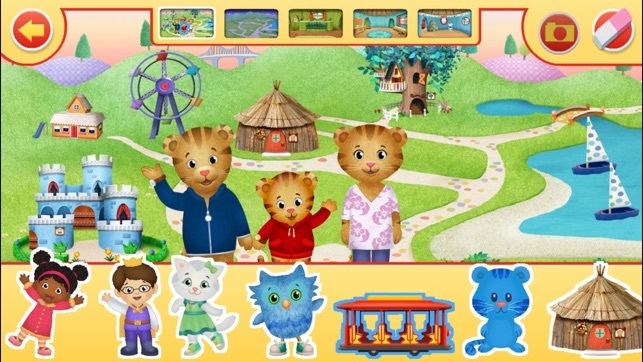 These Apps (I purchased the bundle deal of all 3 Daniel Tiger Apps) are outstanding. 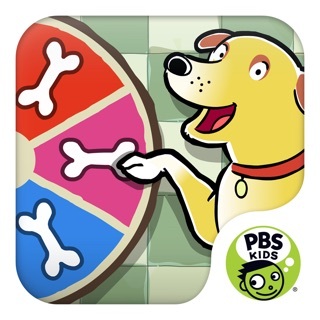 Probably my best purchase from the App Store/iTunes ever! 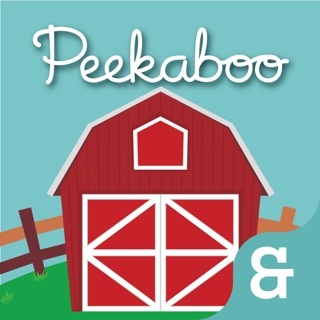 I had the opportunity to explore the apps before my children and I was astonished with how detail oriented they were just about every image in the apps does something different. There's so much to do I as an adult wasn't able to get through it all in an hour long expedition! Also, the graphics are great. 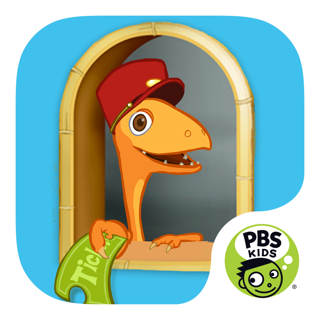 These apps are sure to keep my little one entertained for those long car rides, restaurant waits or boring shopping trips. 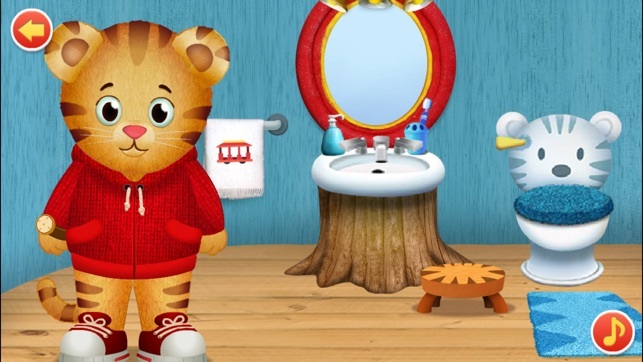 We love that Daniel tiger teaches character traits along with educational lessons. The only problem with this App? My daughter doesn't want to get off! An eraser tool shouldn't erase an entire picture but rather allow you to erase individual items. I have a very upset child who is so sad and crying because she created a picture for me and I ruined it with one bump after she worked really hard on it. I've never seen any other programs where a single button deletes everything in sight. Overall this and the other Fred Roger Company apps are great! Good work! My daughter loves all parts of this game. 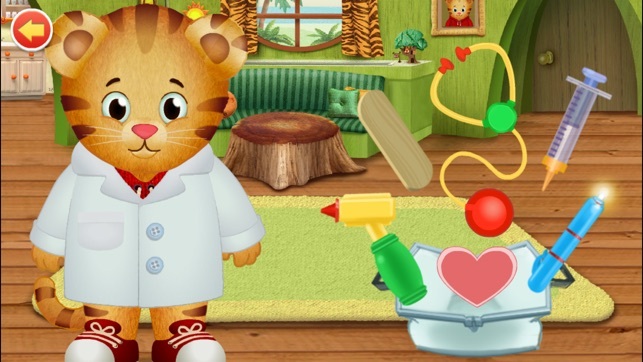 Pretending to be the doctor, taking Daniel potty, and the songs with the emotions are all things that keep her engaged and reinforce the things she's learning and seeing in her everyday life.